In determining the value of a small privately-held business, business owners and buyers of businesses often rely on rules of thumb pricing multiples. Using rules of thumb is considered a “market approach” in valuing a business since the multiples are based on actual sales of businesses. Typical rules of thumb multiples include revenue-based and earnings-based metrics. For instance, take a price-to-revenue (P/R) multiple of 0.60 which means the average price of the business in a particular industry is 60 percent of revenues. If the subject company’s revenues are $1,000,000 then the price of the business equals $600,000 based on the rule of thumb multiple. Or, take an industry multiple of 4x EBITDA (earnings before interest, taxes, depreciation and amortization). If EBITDA equals $100,000, then the rule of thumb price of the business equals $400,000. Rule of thumb pricing multiples are easily obtained from numerous sources. They are commonly used by, for example, business brokers and consultants to help business owners determine a “ballpark” value estimate of a business. The key word is “ballpark” and it should not be used as the sole valuation method assuming the business owner (or business buyer) is serious about determining the value of a business. 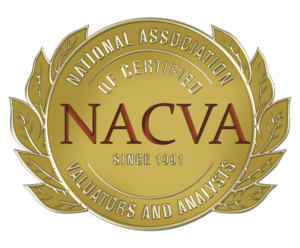 In fact, the valuation standards for nearly every professional valuation organization (NACVA, USPAP, AICPA, etc.) do not allow the use of rules of thumb as the primary valuation method. 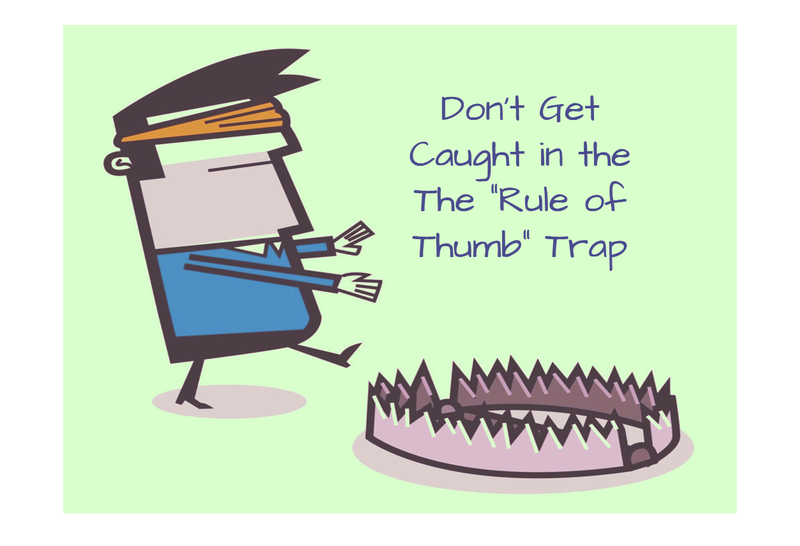 The fact is that using rule of thumb averages fail to address the important value drivers of a specific company. They can be considered too broad to apply to a specific business and they reflect prices paid for businesses which cannot be traced to any specific transaction(s). Consequently, if a business is not exactly the same as the industry average (in terms of risk, performance measures, etc. ), using rule of thumb multiple averages will certainly lead to an inaccurate value estimate. As no two businesses are the same, rules of thumb do not account for the unique characteristics of a particular company in terms of risks, business model, prospects, growth, etc. which need to be considered for making sound financial decisions. Also, using rules of thumb can lead to a critical misinterpretation of what the price (or value) means. You need to know how the multiple was calculated to understand what the resulting price signifies. For instance, depending upon the rule of thumb source, the resulting price may equal the value of an entity’s fixed assets and goodwill. If this is the case, you would need to add the subject company’s cash, accounts receivable, inventory and any other assets it may own and subtract all liabilities to determine the value of the equity (if that is what you are looking to estimate). Some rule of thumb multiples include inventory and other assets. Other rule of thumb multiples may imply an “enterprise value” (the value of a company’s equity plus debt minus cash). In many instances it is unclear as to how certain rule of thumb multiples are calculated and what they mean in terms of price. Yet, people will still use them and, unknowingly, misapply them which results in an incorrect value. Although rules of thumb are typically never used as the primary methodology among valuation analysts, they are frequently used as a reasonableness check to support the valuation analysts concluded value using the methodologies prescribed by specific valuation standards (e.g. – income, market and asset approaches). Rules of thumb can also offer some insight on how investors perceive the industry. It is important for business owners and their advisors to be aware of the shortcomings of relying on industry rule of thumb benchmarks. 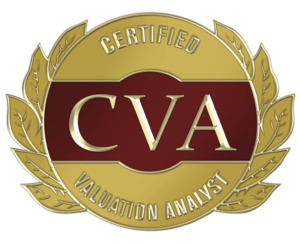 Determining the value of a business requires an in-depth analysis of the specific characteristics of the company and the application of the traditional valuation methodologies.